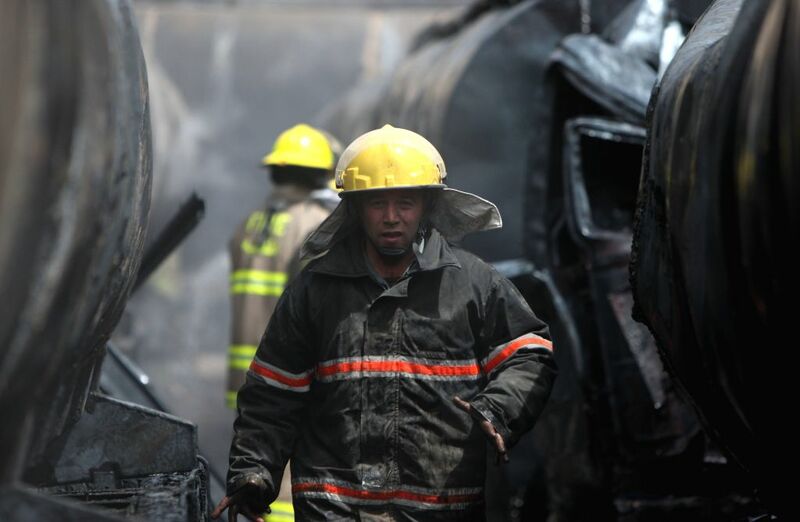 KABUL, July 5, 2014 - Fire fighters work among destroyed oil tankers in Kabul, Afghanistan, July 5, 2014. 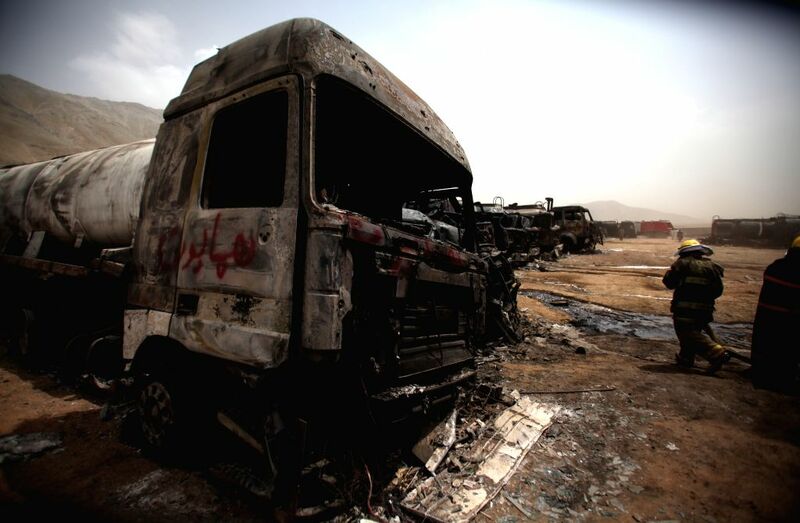 Hundreds of oil tankers were burned down in Arghandi area on the outskirts of Afghan capital city Kabul on Friday night, inflicting damages worth millions of dollars. Taliban militants fighting the government to regain power in the conflict-ridden country have claimed responsibility for the attack. 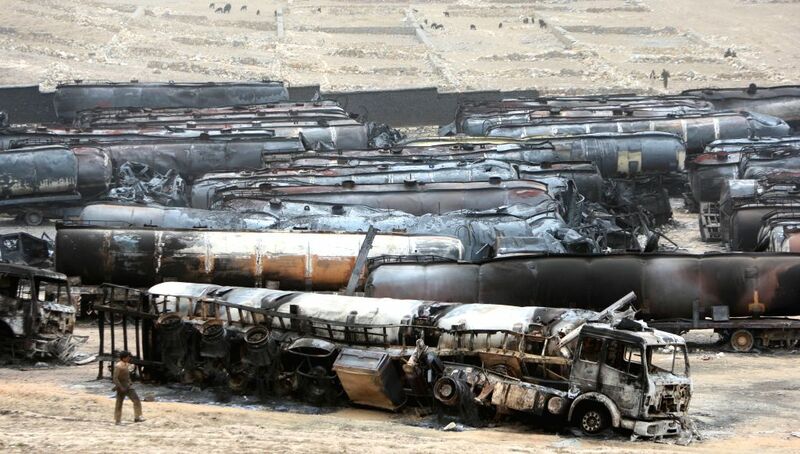 Destroyed oil tankers hit by rockets are seen in Kabul, Afghanistan, July 5, 2014.